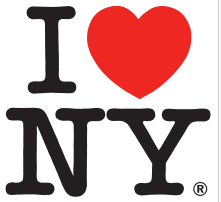 Milton Glaser created the emblem “I love New York” with a red heart for “love” for the 1973 New York City tourism drive. It is probably the most copied and varied graphic idea in the world. In 1984 Milton Glaser designed the poster for the Sarajevo Winter Olympics. 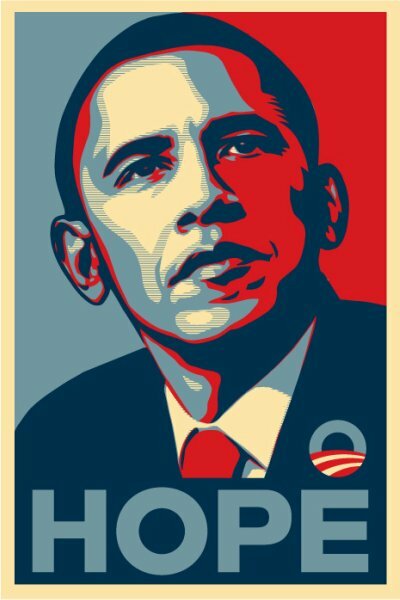 Shepard Fairey is widely known because of famous obama poster ‘hope’. 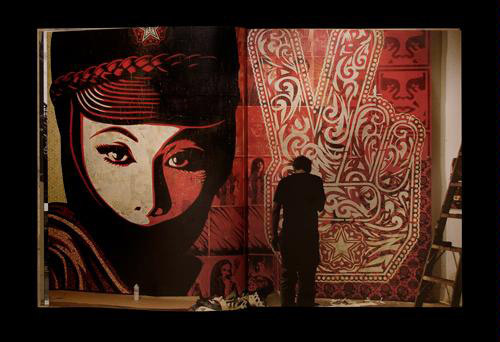 However, before he starts to draw posters which he usually uses red, blue, and white-yellow on, he was a street artist. He likes to use red and black, and most of topic is about war and piece. So, most in his art, you easily can see gun, bullet, soldiers. But on the other hand, he drew piece mark, flower, and girl. He likes to use complex glyph on the background with red color and it looks gorgeous. Also he is the one who drew the ‘obey’ campaign sticker. Saul Bass did many different movie posters, and he had worked with some of the greats like Alfred Hitchcock and Martin Scorsese. In Otto Preminger’s new drug movie Saul Bass designed the title sequence for The Man with the Golden Arm to be a animated black cut out of a heroin addicts arm. This caused Saul to reinvent movie titles as an art form. He was born in the Bronx district of New York in 1920. After apprenticeships with Manhattan design firms, Bass worked as a freelance graphic designer or "commercial artist" as they were called. In 1958’s Vertigo, his first title sequence for Alfred Hitchcock, Bass shot an extreme close-up of a woman’s face and then her eye before spinning it into a sinister spiral as a bloody red soaks the screen. 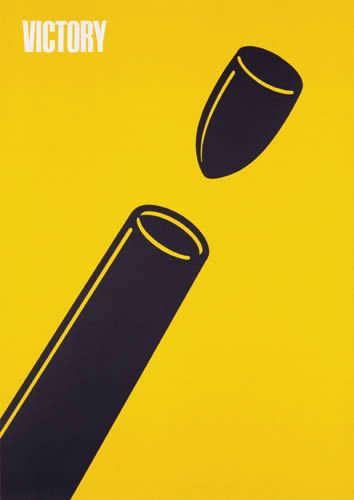 Through the use of simple, bold shapes, Polish designer Lex Drewinski conveyed strong political messages in his artwork. In 1985 he left Poland for Germany and became a professor at the University of Applied Sciences in Potsdam in 1992. His pieces always display a message of social concern. In 2008, Drewinski received a Doctorate in Fine Arts and has won over 130 prizes all over the world. Chip Kidd is a graphic designer and writer. His first novel, The Cheese Monkeys, was a national bestseller and a New York TimesNotable Book of the Year. His first book, Batman Collected, was awarded the Design Distinction award from ID magazine. He also designed, edited, and added commentary to the book of the art of Charles Schulz, Peanuts. He has a way of making his designs simple yet understandable. 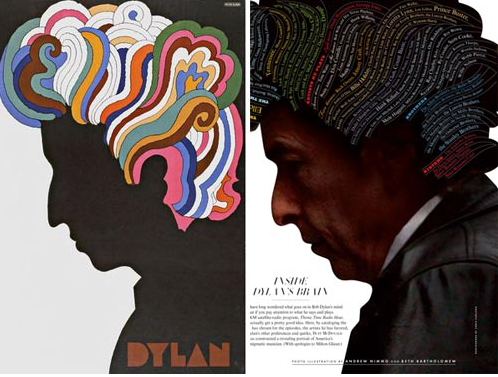 I really enjoyed researching him and his different book covers. I especially like his TIME magazine cover from July 2009. For more information, his site is http://www.goodisdead.com. Josef Müller-Brockmann is a Swiss graphic designer best known for his use of the grid system. Most of Josef’s works incorporated the font Helvetica. His use of simple design, distinct colors, and bold shapes make him a pioneer of typographic design. He has written many books including “History of the Poster”, “Grid Systems in Graphic Design”, and “The Graphic Artist”.